Madrid (Spain) – July 28, 2018 (travelindex.com) – As stated in the Relevant Fact submitted to the Spanish Stock Exchange Commission on 26th July 2018, Oceanwood Capital Management Limited and Minor International (MINT) have entered into a Share Purchase Agreement of 22,496,064 shares representing a 5.7% shareholding in NH Hotel Group, only subject to the approval of MINT’s General Shareholders Meeting to be held on 9th August 2018. As a result of this transaction and the agreement to acquire from Tangla Spain SLU 32,937,996 NH Hotel Group shares representing an 8.4% shareholding in NH Hotel group, as announced on 5th June 2018, which is subject to the same condition, MINT would control 172,379,103 shares in NH Hotel Group, representing a 44.0% shareholding. Following broad support from MINT’s key long-term shareholders on the contemplated transactions, including Mr. William E. Heinecke and the entire MINT’s Board of Directors, MINT will hold an extraordinary general meeting (EGM) on 9th August 2018 for the approval of the tender offer and the 8.4% NH Hotel Group stake from Tangla Spain SLU. In addition, the tender offer has also received full financing support from MINT’s financial institutions. 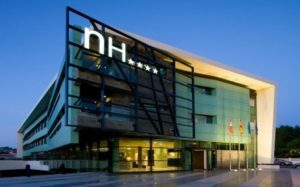 As stated in the Relevant Fact submitted on 20th July 2018 to the CNMV, both the Spanish and Portuguese Antitrust Authorities (“Comisión Nacional de los Mercados y la Competencia” and“ Autoridade da Concorrência“, respectively) approved the proposed acquisition of NH Hotel Group by MINT, thus fulfilling one of the two conditions to the offer included in the MINT Bid Offer. MINT’s offer has been admitted for processing on 19th July 2018 (“Admisión a Trámite”) by the CNMV, following the ordinary proceeding. MINT maintains its long-term vision for NH which is intended to keep the company as a focused hotel-sector listed company in the Spanish Stock Exchanges, improve overall growth profile of the portfolio based on highly complementary geographies and brands, with limited overlap, and support the management team in executing the current and future strategic plans. Minor International (MINT) is a global company focused on three core businesses: restaurants, hospitality and lifestyle brands distribution. MINT is one of Asia’s largest restaurant companies with over 2,000 outlets operating system-wide in 27 countries under The Pizza Company, Swensen’s, Sizzler, Dairy Queen, Burger King, Thai Express, The Coffee Club, BreadTalk (Thailand), Riverside and Benihana brands. MINT is also a hotel owner, operator and investor with a portfolio of 161 hotels and serviced suites under the Anantara, AVANI, Oaks, Tivoli, Elewana, Marriott, Four Seasons, St. Regis, Radisson Blu, The Beaumont and Minor International brands in 26 countries across Asia Pacific, the Middle East, Africa, the Indian Ocean, Europe and South America. MINT is one of Thailand’s largest distributors of lifestyle brands and contract manufacturing. Its brands include Gap, Banana Republic, Brooks Brothers, Esprit, Bossini, Etam, OVS, Radley, Anello, Charles & Keith, Pedro, Zwilling J.A. Henckels, Joseph Joseph, Bodum and Minor Smart Kids. NH Hotel Group is a world-leading urban hotel operator, listed on the Madrid Stock Exchange. Today, the company operates 382 hotels and 59,350 rooms in 30 markets across Europe, the Americas and Africa, including top city destinations such as Amsterdam, Barcelona, Berlin, Bogota, Brussels, Buenos Aires, Düsseldorf, Frankfurt, London, Madrid, Mexico City, Milan, Munich, New York, Rome and Vienna. Book your hotel in Spain and around the world in 55 countries at best rates available. Pay at the hotel. Book now at HotelWorlds.com!